First introduced in Barcelona during the Mobile World Congress 2012, the HTC One series has rather rebranded the HTC smartphone line up which is expected to be even stronger and competitive among the increasingly-crowded smartphone market; some, even offered them the name of "legendary". 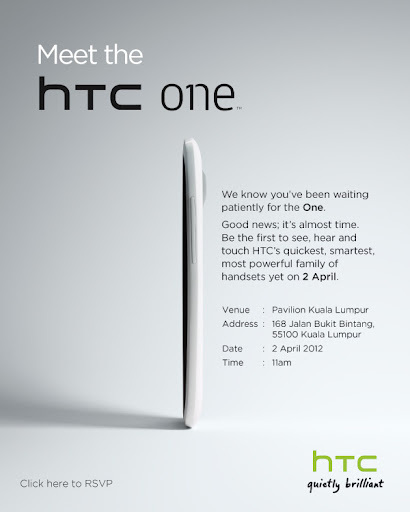 And if you would like to be one of the first to experience HTC's latest, come 2nd of April, Monday, be sure to visit it's official Malaysian launch in Pavillion, KL. The all-new HTC One series consists of three smartphones. 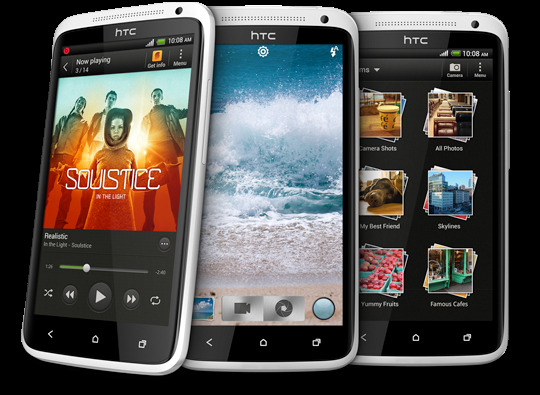 First up in line is its flagship model, the HTC One X offering a 4.7-inch, quad core Tegra 3-powered beast encased in a polycarbonate white shell. It runs on the latest Android 4.0 Ice Cream Sandwhich OS along with HTC's very own HTC Sense 4.0. Besides being the first quad-core HTC smartphone, it is also integrated with a vastly improved camera technology, named as the Image Sense which is supposedly powerful enough to take photos in under 0.7 seconds! Next up is the HTC One V, branded as the "essential smartphone" which is the most affordable of all. The HTC One V sports a simple design with a 3.6-inch screen, runs on a 1GHz processorand a 5-megapixel camera which is suitably more than enough. Last but not least, is the HTC One S which is actually the mid-ranged smartphone but judging from teasers of some telco companies, it seems that we'll be missing the device in Malaysia. Nothing much to worry though especially since the One X and V will make its way here. Remember, 2nd of April 2012, 11am, Pavillion KL!